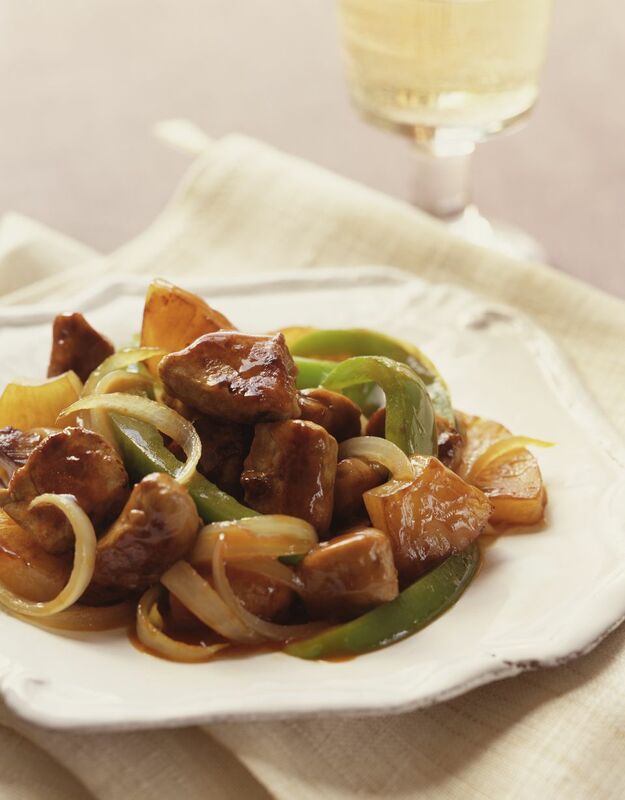 This Chinese stir-fried beef with onions gets its distinctive flavor from two types of onions—yellow onions and green onions—for a satisfying dish. This easy recipe comes together quickly in a wok for a hearty weeknight family dish that also is perfect for your snootiest guests. Cut beef across the grain. in a large bowl, combine the light soy sauce, rice wine or dry sherry, sesame oil, black pepper, and cornstarch. Add the beef, coating completely, and marinate at room temperature for about 15 minutes. While beef is marinating, prepare the onions, garlic, and ginger. In a small bowl, combine the dark soy sauce, sugar, and dry sherry. Heat wok and add 2 tablespoons oil, allowing it to drizzle down the sides. When the oil is ready, add ginger and garlic. Stir-fry briefly and add onions. Stir-fry until onions are tender but not overcooked. Remove the vegetables from the wok and set aside. Add additional oil to the wok if necessary. Add the beef, stir-frying until it changes color. If desired, add water at this point to make a gravy. Return the vegetables to the wok and mix well. Add the sauce. Stir in the green onion. Stir-fry briefly to blend all the flavors.